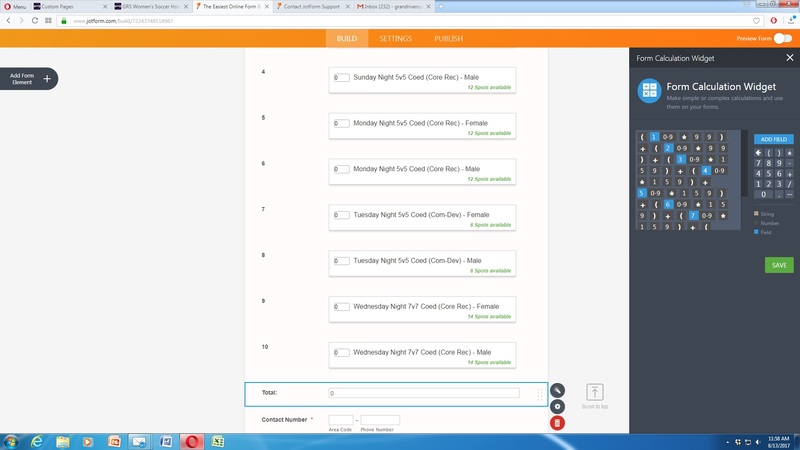 I've followed examples about calculating $$ totals from the inventory widget using the form calculation widget. I've successfuly used it with 1 product but now I have 10 products. I've tried it several different ways and I can't get it to total the products amount owing. 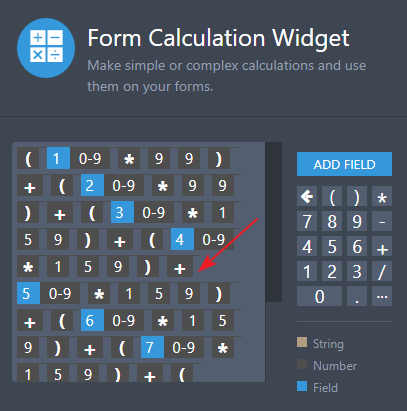 I have checked your JotForm and see that the form calculation is not working. As I check the calculation widget, I see that there is a '(' is missing for 5th inventory widget in the calculation which is causing the issue. Please add the left bracket in the calculation and the total should be displayed correctly. Please get back to us if you need any further assistance. We will be happy to help.